A Russian IL-20M plane landing at an unknown location. Russia has blamed Israel for the loss of a military IL-20M jet. This Update deals with the aftermath of the incident on Tuesday, whereby the Syrian regime accidentally shot down a Russian military reconnaissance plane following an Israeli air raid on an Iranian arms facility in northern Syria. It also looks at the the larger strategic context for these events in Syria, especially the ongoing Israeli-Iranian conflict there. We lead with a summary of these events since Tuesday plus Israeli analyses of them from Joshua Davidovich of the Times of Israel. This includes the discussion of the initial Israeli raid and the target, the Russian reaction to the downing of the plane, the Israeli efforts to calm Russian anger, including sending the Israeli air force chief to Moscow – plus, the likely implications of this weeks events for Israeli freedom of action in Syria. For this useful summary of all that is happening with respect to this story, CLICK HERE. Next up, military affairs reporter Yaakov Lappin puts all of the events above in analytical context. He traces the roots of this major incident in Israeli-Russian relations to Iranian determination to traffic advanced weapons to Hezbollah, and their apparent attempts to use proximity to Russian bases to shelter these activities. Lappin also quotes Israeli experts discussing why Iranian activities in Syria and efforts to transfer advanced missile technology to Hezbollah are something Israel cannot tolerate. For this top-flight analysis in full, CLICK HERE. Finally, we offer a long but highly-detailed and insightful look at the strategic reality behind the overall Israeli-Iranian clash over Syria by Gen. Yaakov Amidror, Israel’s former National Security Advisor. Amidror offers an excellent summary of Iran’s aggressive and expansionist Middle East policy and how Israel fits into it, as well as its two elements targetting Israel – the build-up of proxies on Israel’s borders and the development of nuclear weapons capabilities. He then discusses Israel’s strategy in response to this Iranian threat, and how Israel’s raids in Syria fit into this strategy. For perhaps the best overall summary of the Israeli-Iranian cold war that AIJAC has seen, CLICK HERE. The New York Times admits the Trump Administration’s sanctions against Iran appear to be working. The US State Department reaffirms that Iran is still the leading state sponsor of terrorist in its latest annual Country Reports on Terrorism. Israel releases satellite images of key Syrian sites in an apparent warning to the regime. American strategic thinkers Eric Edelman and Charles Wald suggest a comprehensive US strategy to secure real and lasting changes in Iran’s behavior. Hamas is reportedly trying to escalate violence along the Gaza border, with additional violent demonstrations meant to force renewed truce talks on Hamas’s terms. Meanwhile, “molotov kites” and balloons from Gaza continue to ignite fires in Israel. Down and Out with Russia? A Russian Il-20 electronic intelligence plane of the sort that was shot down by Syrian forces over the Mediterranean on Sept. 18, 2018, with the loss of 15 lives. 1. Down and out with Russia: Israel seems to have escaped mostly unscathed from its perilous Tuesday, arguably the most fraught Yom Kippur Eve since 1973, but there is still a sense of foreboding hanging over the incident, in which Russia blamed the IDF for Syria downing its recon aircraft when it had been aiming for Israeli jets carrying out an airstrike on a Latakia area facility. Russia’s loud and furious blaming of Israel only seemed to subside with a phone call between Prime Minister Benjamin Netanyahu and Russian President Vladimir Putin in the moments before Yom Kippur, but the affair showed how precarious Israel’s mastery over Syria’s skies can be if it loses Moscow’s backing. The incident “has now put Israel in an extremely difficult position with the Russians, and is liable to negatively influence the strategic freedom of action its air force had enjoyed on the northern front until now,” Amos Harel writes in Haaretz. Israel defense muckety-mucks believe in the long term Israel will be able to keep doing as it has been doing in Syria, but in the short term “Israeli freedom of action over Syria is liable to be put under restrictions, both in terms of the breadth of operations, and in terms of coordination with Russia,” says Yedioth Ahronoth’s Yossi Yehoshua. 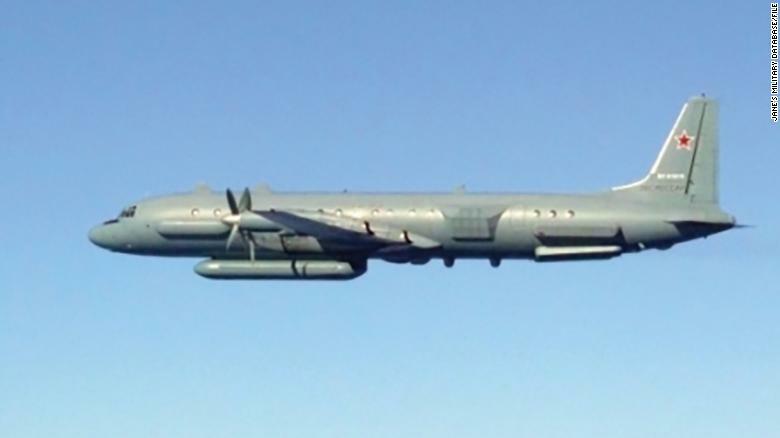 Israel Hayom’s Oded Granot writes that the Russians are likely to demand that Israel give them more warning ahead of a strike so they can get their planes out of the way; they had complained they were given only a minute notice on Monday night, which was not enough time. 2. Seeya, Latakia: Indeed, the strike was in a part of Syria where Israeli planes rarely, if ever, venture. “Until now, the whole area had been considered almost extra-territorial by Israel, essentially off-limits, because of the Russian presence. There may have been an occasional strike in recent years, but if so, it barely figured in international, Arab or, indeed, Israeli media reports,” ToI’s Avi Issacharoff notes. 3. Don’t poke the bear: Pundits are in agreement that an angry Russia is something Israel is doing everything in its power to avoid, with ties now “being tested” in the words of more than one headline. “Calm the bear,” reads the top headline inside Israel Hayom. Yedioth Ahronoth, under a graphic headlined “Russian Roulette,” writes that Moscow could go as far as allowing Iran back into the Golan Heights region, though it puts the chances of that as slim. 4. Don’t look at us: Yet Israel is also continuing to maintain that it did nothing wrong, and the blame lies with Syria, Hezbollah and Iran. By Thursday morning, Israel’s air force chief was on his way to Moscow to show the Kremlin Israel’s assessment of what happened and dispel the accusations that the IL-20 recon plane had been used as cover. In Israel Hayom, often seen as a mouthpiece for the government position, columnist Yoav Limor pushes back against the the Russian accusations that it knew the recon plane was in the area and says the matter is internal between Russia, which manufactures the air defense system, and Syria, which operates it. “Had the Syrian air defense operators not been so skittish, and seemingly so poorly trained, the strike on the Ilyushin plane could have been avoided. There is no chance they didn’t notice it — a slow, heavy object — moving across the screen, and their hysteria could have led to a hitting any other target in the area, like a civilian plane loaded with innocent passengers,” he writes. Iran’s latest efforts to traffic advanced weaponry to its Lebanese terror proxy Hezbollah led to a potentially major incident between Israel and Russia. The events that led to the tragic downing of a Russian plane in recent days over the eastern Mediterranean underline just how dangerous Iran’s activities are to regional and international security. Following a telephone conversation between Russian President Vladimir Putin and Israeli Prime Minister Benjamin Netanyahu, Moscow took a more conciliatory tone, but lower-ranking Russian officials continued issuing angry statements. 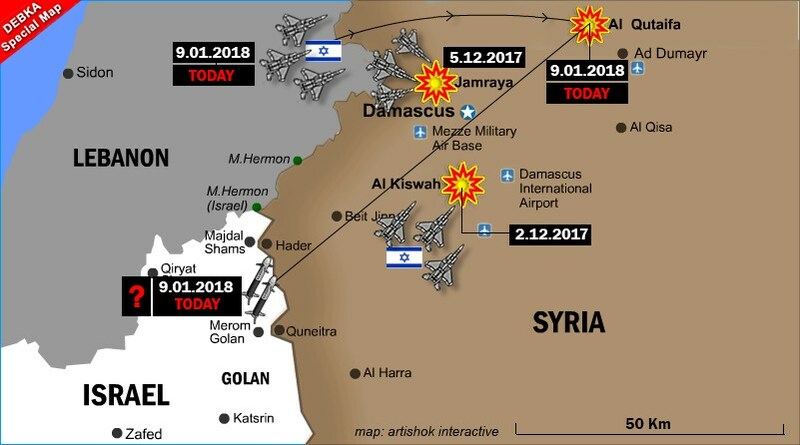 In its initial efforts to diffuse the crisis, the Israel Defense Forces began providing details about its airstrike—the strike that triggered reckless Syrian missile fire, launched without any Syrian discernment between friend and foe. 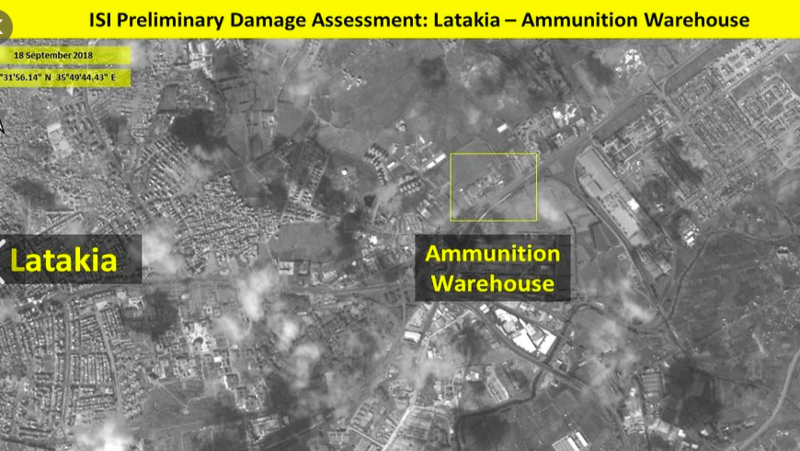 A satellite image of the site near Latakia struck by Israeli jets on Sept. 18. The key word here is “manufacture,” signifying that Iran has resumed an effort to build missile factories inside Lebanon. Traditionally, Iran’s program was to traffic sophisticated weapons to its Lebanese proxy, Hezbollah. But this has run into major trouble in the form of an Israeli counter-program to disrupt this arms flow. So Iran is trying new tricks, including giving Hezbollah the ability to domestically produce its own guided, heavy rockets. That would give Hezbollah the ability to threaten Israel with massive projectiles, like the Iranian-designed Fateh 110 rocket, which can carry a half-ton warhead, and to do so with firepower that is accurate. The difference between accurate and inaccurate firepower is major. If Hezbollah can precisely hit the most sensitive Israeli targets—be they civilian or military—its ability to strategically threaten Israel grows significantly. This enhancement to Hezbollah’s arsenal is a major violation of an Israeli “red line,” which is in place to stop such threats from spinning out of control. And Israel decided to enforce it. Iran seems to have also assumed that by storing the weapons in Latakia, on the Syrian coastline, in the heart of the Assad regime’s Alawite heartland, and in the general vicinity of Russia’s airbase and naval base in Syria, Israel would be deterred from disrupting the transfer. Iran’s assumption was proven wrong. Israel’s extensive intelligence and precise airpower abilities once again came together, to thwart the threat, before Hezbollah could point the rockets at critical targets deep inside Israel. Yet unlike the many past strikes that have occurred, this time around, an explosive and dangerous complication occurred. Due to the negligent and unprofessional firing of Syrian air-defense crews, who opened fire at a time when Israel’s jets were already back in Israeli air space, Russia sustained a painful loss of 15 air crew members. Since Russia’s intervention in the Syrian war in 2015 to rescue the Assad regime, the defense establishments of both countries have maintained a successful deconfliction channel. Israel’s extensive air activity did not interfere with Russia’s own military operations, and the countries were able to stay out of one another’s way. Netanyahu has developed a good communications channel with the Russian leader, and the militaries followed suit, guided by the mutual interest of avoiding dangerous mishaps. Now, however, Iran’s brinkmanship is putting this relationship to the test. It should, however, be putting Moscow’s relationship with Tehran to the test. Israel is engaging in an active defense campaign that it has no choice in waging. Iran, on the other hand, can choose to scale back its destabilizing weapons trafficking, as well as its attempts to create its own war machine inside Syria. Yet Iran is continuing onwards, jeopardizing the Assad regime—and Russia’s interests. Israeli Air Force Chief Maj.-Gen. Amikam Norkin is currently in Moscow to brief the Russians on the results of Israel’s investigation into the incident. As long as Iran refuses to roll back its efforts, it will guarantee that Israeli strikes. The responsibility, therefore, rests with Iran and its aggressive military takeover program, not with Israel. This is a message that Israeli Air Force Chief, Maj.-Gen. Amikam Norkin, will take with him to Moscow, as he and his delegation visit the Russian capital to share details of their investigation into the incident. The Israeli delegation will provide a full briefing to their Russian counterparts regarding what occurred and share the results of the IDF inquiry into the chain of events. “We were very clear about our ‘red lines’. We will not allow the Iranians and the Syrians to make Hezbollah stronger by game-changing weaponry. And later, we added another red line, to not allow Iran to build independent war machine in Syria,” Israel’s former National Security Advisor, Maj.-Gen. (res.) 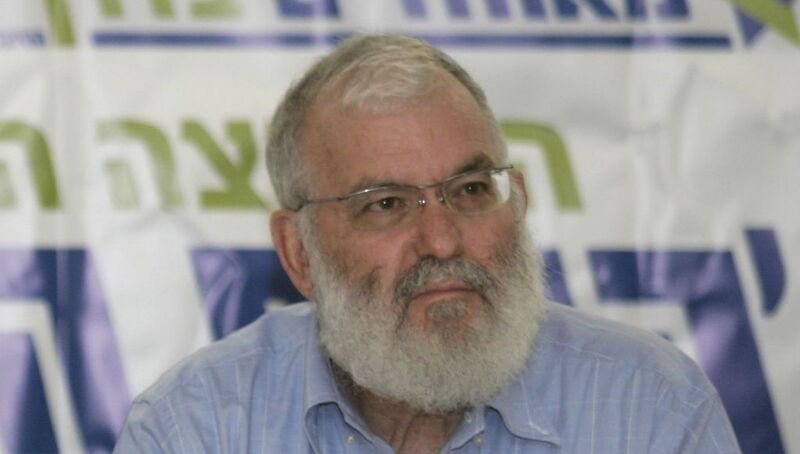 Yaakov Amidror, told a conference call, which was organized on Thursday by the Israel Project. In all such attacks, he pointed out, Israel went to big efforts to avoid harming any Russian personnel. Asked to interpret Russia’s move to seal off a section of airspace in the eastern Mediterranean, off the Syrian coastline, Amidror said it was too soon to draw conclusions. One must hope that this reading of Russia’s step is accurate, and that Israel’s de-escalation steps will prove effective in helping Russia to conclude that Iran, Hezbollah and the Assad regime are responsible for this tragedy. This Iranian axis is taking big risks and could end up igniting a major regional fire in the process. Whatever happens next, Israel has signaled that as far as it’s concerned, nothing changes regarding its “war between wars” to keep Iran out of the region. Israel sees no alternative but to enforce its “red lines,” as failing to do this would see Iran complete its military takeover of the region and encircle Israel with arsenals of guided projectiles. This is not a scenario Israel has the luxury of sitting back and watching unfold. Israel’s opposition to Iranian entrenchment in Syria and Lebanon is twofold: To prevent Iran from building a beachhead against Israel through its proxies on Israel’s borders, and to impede development of Iran’s nuclear and long-range missile capabilities. Israel is absolutely determined and prepared to act forcefully against Iran, which could lead to a full-scale war. Israel must win this struggle against Iran, one way or another. From Iran’s perspective, it has reached a very advanced stage in its shaping of the Middle East. Its actions are not random. They are based on an orthodox Shiite ideology outlined by the founder of the Islamic Republic, Ayatollah Khomeini, following the success of the 1979 Iranian revolution, and continued by his successor, Ayatollah Khamenei. This ideology sees Iran as the leader of the Shiite revolution throughout the Middle East (with clear intent to “export the revolution”), aiming at enhancing its influence over and within as many states as possible in the area. Towards this end Iran uses its position as leader of the Shiites, although it is not only the Shiites who benefit from Iranian assistance in matters related to the “revolution” or the struggle against Iran’s enemies. For example, Iran has invested heavily in Yemen, providing assistance to the Houthis. Iran’s enemy in the Yemen conflict is Saudi Arabia, alongside the United Arab Emirates. Iranian victory in Yemen could seriously impact on maritime freedom in the Bab el-Mandeb Strait, which leads to the Suez Canal. Simultaneously, the Iranian Revolutionary Guards Corps (IRGC) also have been investing a great deal of effort in Iraq, control over which is essential to the Iranians in several contexts. Iran is pursuing its objectives in Iraq indirectly, and in contravention of the Iraqi government’s stance, through powerful militias that have been established by the IRGC and which are entirely subordinate to Iranian authority. Meanwhile, the world is focused on the outcomes of elections in Iraq, not realizing that the country’s fate will largely be determined by these powerful Hezbollah-style militias operating throughout the country that are under complete Iranian control. The militias contributed to the victory over ISIS, and this provided them some legitimacy, even in eyes of the US. Now they are serving Iranian interests alone. 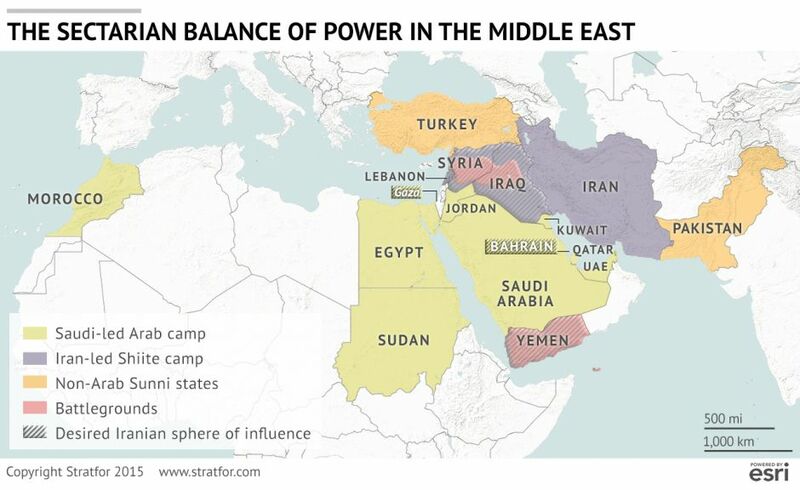 The Iran-Sunni Arab conflict currently driving the Middle East, as illustrated by Stratfor. There is no doubt that Iran’s efforts throughout the Arab world stem from its self-perception as the sole leader of the Shiite Muslims throughout the world and from its desire to promote Shiite interests across the Middle East. The Shiites, who until recently constituted an oppressed minority of inferior status within the Islamic world (some 85% of which is Sunni), are finally climbing up from the lower rungs of the social and religious ladder, overcoming years of humiliation at the hands of the Sunni majority. This is undoubtedly a powerful and energizing motif, driving the leadership of the Shiite population generally, and Iran foremost. The clear impression conveyed by Iran is that the time has come for the Shi’a to lead the Middle East and the entire Muslim world. Iran’s perception of its regional role appears also to be influenced by its Persian identity, which is based on memories of the Persian Empire and a Persian sense of superiority over the Arabs. There are indications of this outlook in Iran’s domestic discourse, and it constitutes an undeniably important element in shaping Iran’s self-perception as leader of the Shiites throughout Arab countries. The Persians have a rich culture and a long history that rivals anything the Arab countries have to offer, perhaps excepting Egypt. The more sophisticated Arabs also understand the advantage that a serious, authentic state such as Iran has over Arab states, some of which were the product of circumstance or decisions taken by colonial powers a century ago, and they therefore regard it with respect and suspicion. The Persian sense of superiority, which is nothing new in the history of Islam, is a serious source of concern for large numbers of Arabs, including among the Shiite population. Not all Arab Shiites are pleased with the Persian sense of superiority. This friction is more evident in Iraq because that is where the Shiite religious leadership was centered in the past. To this day the Iraqi cities of Najaf and Karbala, rather than Qom in Iran, remain the holiest cities for Shiites. Iran’s efforts to shift the religious center of gravity to Qom was based on the reality that, under Saddam Hussein, large numbers of Shiites were unable to gain access to the two Iraqi cities. Now there is no such justification, according to many Iraqis. The objections voiced against Iran’s takeover of Iraqi politics are most significant. They include those of Musa al-Sadr, a winner in the recent elections and leader of an independent Shiite militia that is not subordinate to Iranian authority, which is the source of his power. (He dislikes the Americans as well). Saudi Arabia, having realized this, has taken measures to exacerbate the dispute between Iraqi Shiites and Iranians. Iran’s Persian identity does not always work to its benefit in interactions with the Arab world. Iran’s motives are to a large extent comparable to those of Turkey under Erdogan. Erdogan seeks to portray the glorious Ottoman past as justification for contemporary policy in both the religious and the national sense. These similar approaches are likely, if successful, to lead to a confrontation between the leading Shiite state and the Sunni/Ottoman state that aspires to lead. Both states are Muslim, but not Arab, and are therefore a source of serious apprehension for the Arab world, which is overwhelmingly Sunni. (In the Turkish case, Arabs still remember the Ottomans’ brutal response to efforts at gaining independence from the Ottoman Empire). It would be a mistake to think that Israel is the only focal point of Iranian activity, but it is a central element. 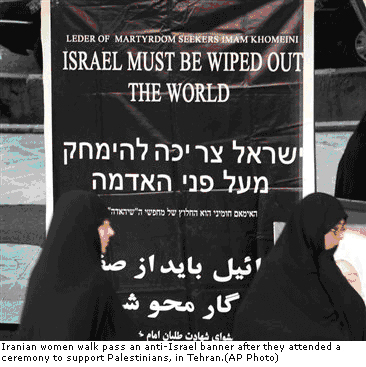 The religious imperative of destroying Israel is part of the Iranian calculus. Iran’s leadership has devoted much effort and many resources towards this end since Khomeini laid down the principles of the revolution. Because the campaign against Israel has religious motives, it might at times appear devoid of logic. The Iranians, or at least Iran’s decision-makers, are prepared to invest vast amounts of energy and money in this campaign, even at the risk of armed conflict with Israel and at great cost. This is despite the fact that Israel and Iran hold no substantive conflict over territory. The priority ascribed to anti-Israel plans derives in part from the Iranian view that Israel serves as a spearhead of Western political and cultural presence in the region. Iranian opposition to Western policy and Western way of life has long characterized the US as “Great Satan” and Israel as “Little Satan.” Yet Israel’s presence in the heart of the Middle East, the region towards which Iran’s efforts are directed, makes its categorical destruction a priority. In the Iranian (apparently correct) assessment, the weakening of Israel, not to mention its destruction, would greatly simplify Iran’s struggle for regional control; a strong and stable Israel constitutes a major obstacle. Moreover, Israel has recently formed alliances with Sunni states that fear Iran. Thus, Iran’s interest in striking as severe a blow to Israel as possible is thus also grounded in straightforward strategic considerations devoid of religious sentiment. The struggle against Israel also plays an important part in enhancing Iran’s legitimacy in the Arab world, which itself has failed in the struggle against the Jewish state. The campaign against the Jewish state is still a very popular cause among the Arab masses, and the harsher Iran’s tone towards Israel, the more hearts and minds it wins over in the proverbial Arab street. Conversely, there is also concern about Iran in the Arab street, and there is no guarantee that this concern can be offset by Iran leading the struggle against Israel. In any case, Iran’s interest in gaining Arab world legitimacy has been a consistent driver of its post-revolutionary efforts. When Iran’s new leaders emerged from the underground in 1979, their hatred towards Israel also had a very real, local, and immediate basis, given Israel’s support for the Shah. It was widely known that Israel aided the Shah’s secret service, SAVAK. The latter was vehemently despised for its brutality, and in the immediate aftermath of the revolution Israel was portrayed as a partner to its crimes. Although this motif has dissipated over the years, it serves as a lesson for the future. It follows that there is a basic rationale for Iran’s focus on three fronts surrounding the Jewish state, and for its leaders’ consistent emphasis, publicly and behind the scenes, on their aspirations of achieving Israel’s destruction. It is difficult for anyone with a Western outlook (and for the naïve among us) to accept this, but the leadership of Iran is fully and genuinely committed to the perspective reflected in its public statements regarding a “holy obligation” to destroy the State of Israel. History has taught the realists among Israel’s decision-makers to believe leaders who speak their minds about plans to annihilate the Jewish state. The launch of an armed Iranian drone into the heart of Israel in February 2018 and Iran’s ongoing efforts to enhance its offensive power in Syria, despite Israel’s successful strikes at Iranian strongholds over the past year, are indicative of the risks Iran is willing to take towards this end. (This certainly holds true for IRGC Qods Force commander Qassam Suleimani and his supporters in Teheran). The first dimension of Iran’s struggle against Israel entails efforts on three fronts. Iran’s operative agent is the Qods Force, which is part of the IRGC but operates relatively independently. The first effort is directed at revolutionizing Hezbollah’s offensive power. Iran is doing all it can to improve Hezbollah’s capabilities to unprecedented levels. In recent years Iran and Syria have undertaken to diversify Hezbollah’s arsenals by transferring to its possession highly advanced anti-aircraft, anti-tank, and anti-ship missiles, among the finest of the arms Syria bought from Russia. Nearly every advanced weapons system the Syrians acquired from Russia has been transferred to Hezbollah. Although purchased by Syria, these were evidently intended for Hezbollah, and Iran may have funded part of the Syrian acquisitions. Presumably the Russians were unaware of these transfers, but Russia could certainly have conducted better oversight over these sophisticated weapon systems when under Syrian possession. Iran’s efforts to buttress Hezbollah are particularly evident in terms of offensive capability and are based primarily on the military industries in Syria and Iran. For example, thanks to these efforts Hezbollah has acquired a very impressive missile and rocket capability by any global standard. Even the Yakhont, a Russian missile intended for coastal defense, would for all practical purposes become an offensive weapon if acquired by Hezbollah because it could threaten Israel’s ports and gas production facilities in the Mediterranean. Hezbollah’s arsenal includes more than 120,000 rockets and missiles of various sizes capable of reaching any point in Israel, including its major cities – Haifa, Jerusalem, and Tel Aviv. All of Israel’s population centers are currently vulnerable to Hezbollah firepower. Iran’s next step in Lebanon is to significantly improve the accuracy of many of Hezbollah’s missiles, especially the heavier and longer-range ones. The efforts to reinforce Hezbollah entail the transfer of Iranian technology, as well as a recent undertaking to develop local military industries in Syria and Lebanon so that Hezbollah, in cooperation with Iran, will have immediate, on-hand capabilities. The destructive power to be gained by Hezbollah would constitute a threat to Israel of an entirely new magnitude. Israel is a small country (20,000 sq. km within the Green Line, and less than 6,000 sq. km in the West Bank), whose population is concentrated along a strip of Mediterranean shoreline less than 80 km long – between Hadera and Ashdod. Thus, Israel is extremely exposed, and has no real alternatives or redundancies in terms of infrastructure. As such, a precise strike against Israeli infrastructure facilities could be acutely damaging, not to mention the number of civilian casualties that would be caused in such a densely populated area (– particularly Tel Aviv and its surroundings). This is the reason Israel has invested so heavily in building a three-tiered missile defense system, at a cost of $10-$15 billion. If war breaks out, Israel will be compelled to act with great force, using all the means at its disposal, to swiftly neutralize as much as possible of Hezbollah’s missiles capabilities. From Israel’s perspective, the use of such a large quantity of missiles, many of them highly precise, would necessitate a difficult war, different from those of the past. Many restrictions on IDF firepower would be lifted (– such as those that Israel placed on itself during repeated, limited operations in Gaza because of the proximity of Palestinian citizens to Hamas’s main bases of power). When Hezbollah launches thousands of missiles at major cities in the heart of Israel and at vital infrastructures, operating from civilian population centers in Lebanon, the outcome of Israel’s determined military effort to neutralize Hezbollah’s deployment and launching capability will be severe. Many thousands of Lebanese casualties will result, some of them innocent civilians, and there will be extensive devastation across Lebanon as well. This grave scenario is the inevitable result of Iran’s disregard for the “price” that Lebanon will have to pay for against Israel from its territory. Iran is prepared to fight Israel down to the last Lebanese villager, even if he is Shiite. It should be noted that regarding Lebanon, the Iranians have managed to mislead the world, and in particular the US and France. Washington and Paris behave as if there truly exists a sovereign state named “Lebanon” and as if strengthening “Lebanon” will result in a weaker Hezbollah. The opposite is true! Moreover, UN forces in southern Lebanon have not reported the existence of a single Hezbollah rocket or missile in southern Lebanon, as if Hezbollah is an innocent Scouts movement with no effort underway to base tens of thousands of missiles and rockets in southern Lebanon. UNIFIL reports create the impression that Israel has invented a story about a non-existent organization, and that no such organization exists in the area under UN supervision in southern Lebanon. Clearly, Israel’s reliance on UN Security Council Resolution 1701 (which beefed up UNIFIL) as an exit strategy from the hostilities in 2006 was a mistake. It would be wise for Israel to remember this in the event of another confrontation. The attitude of states around the world to Lebanon and the image of Hezbollah that emerges from UN reports are not rooted in reality whatsoever. In the real world, nothing important happens in Lebanon unless it is initiated, or at least approved, by Hezbollah. Hezbollah is the de facto ruling authority in southern Lebanon. It is the strongest military organization in the country, certainly stronger than the Lebanese army, which acquiesces to its every demand. Accordingly, any transfer of arms today to the Lebanese Armed Forces (LAF) has the practical effect of strengthening the forces that assist and will continue to assist Hezbollah. Hezbollah is counting on the LAF for war against Israel. There is no conceivable scenario in which the LAF, most of which is Shiite, would act against Hezbollah or even against what might be construed as an interest of the Shiite organization. Hezbollah is extremely important to the Iranian/Shiite efforts in the Middle East, and not only as a threat to Israel. Indeed, Hezbollah is one of Iran’s most important sources of power. Iran is now reaping the harvest of the organization’s success with the decline in hostilities in Syria (–which, by the way, claimed some 10,000 Hezbollah casualties, including 2,000 fatalities). Iran sees Hezbollah not only as its long arm in Syria and Lebanon, but also as the best and most important cadre of fighters available to the Shiite leadership in Iran for the purposes of extending its influence throughout the Middle East. (Not beyond the Mideast, for now, but that will come in time too). Hezbollah fighters can be found not only on the battlefields in Syria but also in Yemen alongside the Houthis, who are fighting against Saudi allies and threatening the kingdom from the south. Hezbollah fighters can be found in Iraq, where the organization’s members are working in tandem with powerful Shiite militia militias throughout the country. The second focus of Iran’s efforts, in the context of the first (visible) dimension of Iran’s activity against Israel, is its attempt to establish a military presence in Syria, in parallel to the one it has in Lebanon. This effort is already underway, as reflected in an increased military Iranian presence. This involves several hundred Iranian Revolutionary Guards, supplemented by thousands of Shiite militia members brought over by Iran from Iraq, Pakistan, and even Afghanistan. Iran controls the militias fighting on the ground, after Russian assistance from the air helped Assad maintain his rule over Syria. Iran’s plan is to create a military network in Syria, as it did in Lebanon that is not subject to the authority of the sovereign government, but under whose auspices it can grow stronger and operate independently. Iranians and their agents who are already present throughout Syria are gathering intelligence about Israel and building this force. This is only the beginning of the effort, and Iran’s efforts are expected to intensify. Supporters of the vision of exporting Iran’s revolution, under the leadership of the IRGC, view Lebanon as an ideal model. The key question is what will happen in Syria. The Shiite population in Syria is smaller, making it harder to promote the Lebanese model, although for the time being Assad has acquiesced to nearly every Iranian demand. The Iranians are systematically entrenching themselves in Syria, in a multi-phase program. The creation of an independent military force is just one indicator of these plans. This force provides support for other efforts and in time will be supported by them. For example, in cooperation with the Syrian Alawite government, Iran is instituting drastic demographic changes, by importing large numbers of Shiites from distant countries, while the government is preventing the repatriation of many Sunnis to the areas from which they fled or were expelled. (Approximately six million refugees have been created in Syria, the clear majority of whom are Sunni). The Syrian Army is also undergoing change. Thousands of new recruits are enlisting, giving it a more Alawite/Shiite character than it had before the country’s ethnic war began. Iran and the Assad regime are transforming the ethnic map of Syria by causing Sunnis to flee and importing foreign Shi’ites. 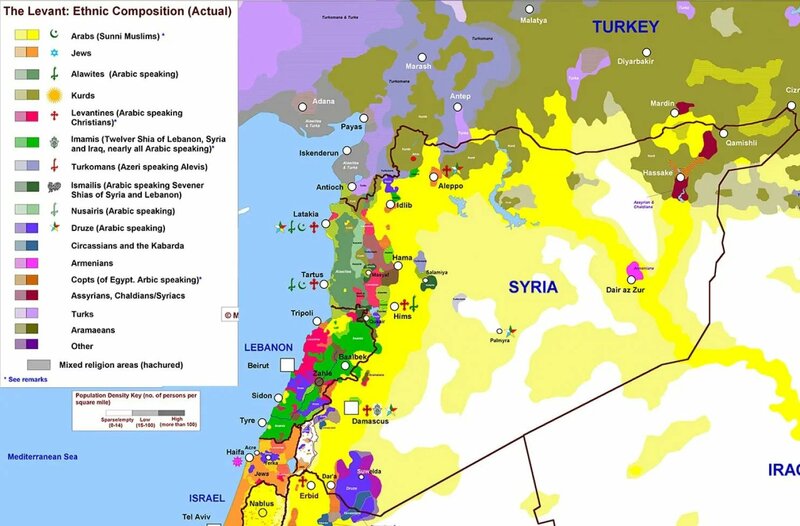 The Syrian ethnic map is also undergoing a transformation, which stems not only from shifts in the size of the various ethnic groups. Before the war, Alawites accounted for only 12% of Syria’s population of 23 million. Since then their proportion has increased because many Sunnis have left the country while large numbers of Shiites have entered. In my assessment, Iran and the Assad regime will try to increase the Shiite and Alawite proportion of Syria’s population to the significant figure of 20% of the population. Such a situation will ensure Iran’s standing in Syria, above and beyond any political agreement. The local militias established by the Iranians and the Assad government will then serve Shiite and Alawite needs, and this force will preserve the calm the regime seeks. With the growing power of Shiites, the Sunnis will find it difficult to revolt again. There are also signs of increased Iranian involvement in the economy, although it remains unclear where they will find the sources required for investing in the reconstruction of war-torn Syria. This process will require tens of billions of dollars and many years. (China is signaling its interest in participating in this effort). It appears that the Russians, whose presence is vital for the continuation of Assad’s rule, are deliberately ignoring the reality on the ground, even though they understand what Iran is doing and against what Israel is defending itself. Assad’s continuing acquiescence and the Russians’ avoidance might help Iran grow even stronger, past the point of no return. At that point, even if they want to contain the Iranian tiger, Assad and the Russians will discover that it is too strong, and that they lack the necessary power. Syria will soon become an Iranian outpost unless Assad or a powerful foreign entity such as Russia disrupt the process Iran is spearheading. Iran’s successful construction of a land corridor from its own territory through Iraq to Syria and Lebanon is an important element of its efforts, supporting the two aforementioned undertakings (– namely, reinforcing Hezbollah and turning Syria into a direct Iranian front against Israel). The Iranians have been making progress in this regard, and the corridor already serves them operationally if not fully, simplifying the logistics of their efforts in Lebanon and Syria. The project will continue at a greater pace if the Americans leave the region. The project certainly enhances Iran’s ability to build the forces it needs for waging war against Israel. This marks a dramatic shift for Iran, which until now depended on airlifts for the provision of supplies to its allies. The American forces are currently stationed in al-Tanf, along Syria’s eastern border with Iraq and quite close to the Iranian land corridor, which passes to the south and primarily to the north. This is a passive force focused on defending itself, and it does not contribute whatsoever to sabotaging the corridor, through which the Iranians are transiting slowly but surely. Alas, this strange American position is completely consistent with the apparent lack of American policy in Syria generally. Aside from bringing the fight against ISIS in northeastern Syria to a close, the US has not adopted any stance that entails a commitment to do anything about Syria. Washington certainly has not devoted any real effort to addressing related problems (– excepting a threat to use its force if Assad again employs chemical weapons against the rebels). For all practical purposes, the US has made itself irrelevant in the struggle against expansion of Iran’s reach in the Middle East. On the other hand, the US is very active on the matter in terms of economic pressures against Iran and Hezbollah. It is investing significant effort in cutting-off Hezbollah’s sources of funding while also applying heavy economic pressure on Iran through renewed sanctions, following President Trump’s decision to withdraw from the JCPOA (the agreement of July 2015 regarding Iran’s military nuclear capability). There is no doubt that US-led sanctions are critical in the grand scheme of things. They are of supreme strategic significance and will ultimately have an impact on Iran’s options for reinforcing and advancing its efforts throughout the Middle East. But at this stage, their effect on the buildup of Iranian power in Syria and Lebanon is negligible or nil. With its sophisticated armed forces deployed in the region, the US could do much more, but the US has refrained from doing so –under both presidents Obama and Trump. He knew what he was talking about. King Abdullah quickly and correctly grasped Iran’s intentions and realized the threat they would pose to his rule. He understood that the destabilization of the Jordanian government would be strategically significant for Iran, which could then use a Jordanian stronghold to act against Saudi Arabia, making it feel surrounded, and against Israel. Hostile forces deployed in Jordan could exploit their position to attack Israel’s underbelly, given the proximity of the Jewish state’s strategic nerve center, only a few dozen kilometers from the Jordanian border. And after weakening Jordan, and though Jordan, Iran plans to bolster Hamas in Judea and Samaria. After stabilizing Assad’s rule and solidifying the Iranian presence in Syria, and after concluding the struggle for control in Iraq – assuming Iranian forces dictate or influence the nature of government there – the IRGC undoubtably will spare no effort to apply pressure on Jordan. To date Iran has not succeeded in destabilizing the Jordanian government. But considering the kingdom’s economic problems it is important to pay attention to developments there, and to ensure that Jordan receives every possible form of assistance in thwarting the Iranian effort. There is much Israel can do in this regard. The two states have overlapping interests that provide a solid foundation for greater cooperation in this context. The third focus in the context of the first (visible) dimension of Iranian activity against Israel relates to the Palestinians. This effort is primarily evident in Iran’s massive support for the Islamic Jihad, an organization it established and strengthens, and in its cooperation with Hamas in Gaza and Judea and Samaria. Territorially, Judea and Samaria are key to Palestinian strikes against Israel, as the Iranians have said openly more than once. Shiite Iran is willing to assist distinctly Sunni organizations, including Hamas (a branch of the Muslim Brotherhood, which Iran generally detests), as along as Hamas provides Iran with another means of striking at Israel. The second, less visible, and recently less-discussed, dimension of Iran’s activity against Israel is Teheran’s pursuit of nuclear weapons. Admittedly, this effort has been delayed because of the heavy global sanctions that forced Iran to the negotiating table and led three years ago to a deal restricting Iranian nuclear activity for a decade. But this decade will come to an end in about seven years, at which point Iran could pursue its nuclear weapons plans even more successfully. At the end of this period Iran will have longer-range and more precise missiles, and new centrifuges that will be 10 or 20 times more efficient than its previous ones. It also will have acquired legitimacy to pursue its nuclear ambitions, upon expiration of the limitations in the nuclear deal. These anticipated achievements are a major element of Iran’s decision to uphold the nuclear agreement. After all, it is hard to envision a better deal from the Iranian perspective! Iran was quite frustrated in the wake of President Trump’s announcement that his country was pulling out of the deal. Iran had hoped that in addition to the above-mentioned achievements it would also be able to exploit the time and easing of pressure provided by the deal to improve its economy. But such progress is now under threat because of the renewed sanctions imposed by the current American administration. 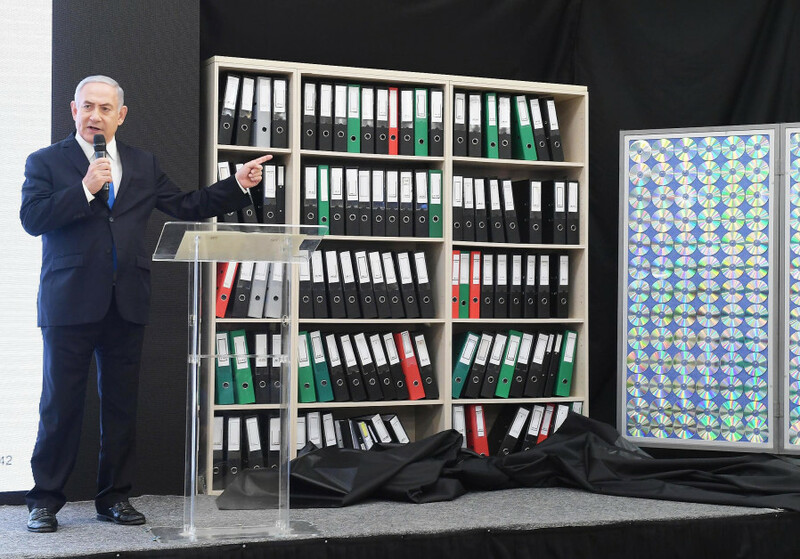 Israel’s discovery and capture of Iran’s nuclear archives points to two indisputable facts. The first is that the Iranians had managed to lay a solid foundation for the development of nuclear weapons, far more advanced and extensive than various intelligence experts imagined, thus contradicting Iran’s continuous denials. The archives document these efforts up to 2003. Second, the Iranians preserved and systematically archived all this knowledge in its entirety, in contravention of their obligations under the deal. They went to great lengths in this regard, taking the significant risk that they would be accused of ongoing fraud. It does not appear that they were acting out of nostalgia, but rather so that they could use the knowledge accumulated up to 2003 someday in the future, when they get back on course and resume their development of nuclear weapons. These archives were intended to provide substantial assistance in expediting the processes needed to develop nuclear weapons when the decision again would be taken to do so. The preservation of these archives sheds light on the deliberations Iran would have had internally regarding the nuclear deal. On the one hand, holding the archives give Iran a tremendous advantage upon expiration of the deal, at which point it can resume the course it had been following. On the other hand, this also risked discovery of the archives, which could undermine Iran’s crucial efforts to improve its economy (and in particular have a negative impact on its relations with the US). The Iranians must have deliberated how to conceal their nuclear option while appearing to the world as if they were no longer engaging in military nuclear activities and were in strict compliance with the agreement. But the revelation of these archives has revealed their true intentions. They decided to take the risk of discovery, because keeping the accrued knowledge about weapons development for a later date, after the agreement had expired, was of highest importance. For Iran that was the foremost priority. Furthermore, there are claims that Iran has maintained groups of nuclear scientists who are currently working actively on various issues that will enable the country to preserve relevant knowledge. It is possible that in the future this fact, too, will be exposed, and the extent of Iran’s efforts to preserve a nuclear weapons option will become even clearer than after the revelations about the archives, which were surprising and important in themselves. These two dimensions of Iran’s efforts – namely, its increasing efforts to enhance its offensive power in Syria (and Lebanon) and its preservation of nuclear knowledge while improving its missile and centrifuge capabilities – appear at first glance to be unrelated. But a closer examination reveals that the two dimensions are strongly linked logically, and that Iran is pursuing them in the framework of a unified strategic outlook. At the heart of Iran’s strategic outlook is its interest in acquiring nuclear weapons because it is clear to the Iranians that it would be easier to realize their dream of hegemony in the region, and even beyond it, under a nuclear umbrella. Iran can be sure that even the US will hesitate to confront a military nuclear state. And that is very relevant to Israel. Once Iran has nuclear weapons it can act against states in the region, and most of all against Israel, with far less cause for concern about a potential response. Iranian clerics estimate that when they have nuclear weapons, Israel will be deterred from acting against Iranian interests, even if Iran’s efforts produce the elements of the stranglehold it aims to place on the Jewish state. As a small country, Israel is, in the words of Rafsanjani, “a one [nuclear] bomb state” and would therefore almost certainly be forced to accept any Iranian measures taken under a nuclear umbrella. This is the strategic conceptual framework at the root of Iran’s extensive regional activity. It explains Iran’s willingness to invest large sums of money and take exceptional risks, including the placing thousands of Shiites (Lebanese and other foreigners, of course) at risk in Syria even after the stabilization of Assad’s regime. The Iranians understand that to achieve a nuclear capability they must neutralize Israel’s willingness and preparedness to take high risks to foil Iran’s nuclear plans. They understand that despite the reinforcement of Iran’s defenses, the Israel Air Force can reach the necessary targets and deal a severe blow to nuclear infrastructures in Iran. To neutralize Israel’s capability, they seek to shape relations between themselves and Israel into something resembling a “Korean state of affairs.” In recent decades the strongest opponent of efforts to dismantle North Korea’s nuclear program by military force was its nearest neighbor, South Korea. The latter realized that in any confrontation, even if it leads to the destruction of North Korea’s nuclear program, the South would pay a heavy price. The tens of thousands of rockets and artillery shells that the North can launch at the South’s capital, Seoul, and the possibility of a military invasion of the capital and its surroundings, near the border between the two Koreas, in a response to an attempt to eliminate the North’s nuclear capability, would certainly eliminate the South’s capital. North Korea’s conventional threat against South Korea became so overwhelming that it left South Korean leaders paralyzed. The threat is so real that it prevents any action against the actualization of the non-conventional threat. This situation undeniably complicates matters for the US as well if it wants to apply pressure on North Korea. (And it remains unclear what exactly was achieved during negotiations between the two countries’ presidents at the Singapore summit in June 2018). Iran has built-up Hezbollah because it aspires to achieve a similar state of affairs. But Iran knows that is was not enough (probably after analyzing Hezbollah’s attack on Israel in 2006 and the results of the subsequent operation). Therefore, Iran seeks to create a stronger military capability under their own control around Israel, so that when they resume their nuclear activities, Israel will be deterred from taking a decision to stop them by force. Iran aims to have Hezbollah and the forces it is building up in Syria (and to the extent possible, forces in Judea and Samaria and Gaza) acquire the capability of striking Israel so severely that no responsible Israeli leader would dare attack the nuclear weapons infrastructures being constructed in Iran. This is the broader strategic context in which one must view Iran’s efforts in the region as they relate to Israel. For these reasons Israel needs to do all it can to undermine Iran’s plans and prevent it from developing nuclear weapons. By understanding the strategic framework, one can better appreciate the logic of Israel’s actions in Syria in recent years and comprehend how far Israel is willing to go in this context. (This has been termed “the war between the wars” in Syria and elsewhere; abbreviated by the IDF as WBW). At the start of the brutal internal struggle in Syria, in 2011, Israel unequivocally decided not to intervene in the war between the Sunni majority, described as “the rebels,” and the minority Alawite government (and most of the Christian and Druze minorities). The Assad regime received massive Iranian and Russian support, without which it would not have survived. Even with this support, it was a long and bloody war, resulting in more than 600,000 fatalities and the uprooting of 12 million people. Most of the refugees are Sunni, and approximately half are currently residing outside of Syria and half remain in the country. More than half of Syria’s residents, who numbered 23 million before the war, are now refugees. This is “ethnic cleansing” on a historical scale, and it was calculated and systematic. The means employed by the Syrian regime, including the use of chemical weapons, indisputably constitute war crimes. Nevertheless, after thoroughly reviewing the situation, Israel understood that it had no sympathizers on either side of the struggle, and that the two sides were equally brutal towards one another. (Although the rebels had less capability and opportunity to implement their brutality). There was no moral reason or political and strategic logic to give preference to either party in this civil war. If a consolidated rebel group had formed under the influence, and with the assistance, of Saudi Arabia and the Gulf states, Israel might have given preference to this group over the regime backed by Iran. But no such rebel group ever emerged. (This failure serves as further evidence of the weakness of the Sunni majority in the Arab world. It is a majority that lacks any leadership in the face of Iran’s determination and direction as the leader of the Shiite world). Israel began exerting its military power in Syria only after it became clear that Iran and Hezbollah were exploiting the Syrian chaos to substantially strengthen Hezbollah in Lebanon, as explained above. The Israeli Air Force, using precise intelligence, struck weapons systems throughout Syria that had been transferred to Hezbollah. The IDF refrained from acting against these systems in Lebanon so as not to push Hezbollah into a corner and force it to respond from Lebanon. Such a development could have been a slippery slope and led to a large-scale confrontation on the scale of the 2006 military operation (– and, as noted above, a far more destructive confrontation). The IDF also acted in another sphere to block developments that posed a danger to Israel, after it became clear that Hezbollah and Iran were trying to establish bases on the Golan Heights near the border with Israel. On one occasion Israel killed an Iranian general who was surveying the border. It also struck a high-ranking Hezbollah official in Syria. Hezbollah responded with firepower (– the only time it has done so), via an ambush from Lebanon near the Syrian border. Two IDF soldiers were killed. Israel refrained from responding with force, despite its casualties, to avoid escalation into a potentially large-scale operation. Israel’s redlines in Syria were to prevent the arming of Hezbollah with systems that would tip the military balance, and to prevent Iran and Hezbollah from establishing bases near the Israeli border. Israel has been changing its targetting in Syria over recent months since it became clear Iran was building an independent war machine in Syria. (Image courtesy Debka). This policy changed when the IRGC began constructing an independent Iranian war machine in Syria. During the past two years, after Russia and Iran succeeded in stabilizing Assad’s regime and reinstating his rule over most of Syria, Iran decided to launch the next phase of its strategic plan. It sought to turn Syria into another base for its operations against Israel, including the use of armed drones (one of which was deployed against Israel in February 2018), long-range missiles, and anti-aircraft missiles. That effort was further backed by an intelligence-gathering system arrayed throughout Syria that closely monitored Israeli activity. The Iranians also brought to Syria thousands of Shiite militia fighters from Pakistan, Afghanistan, and Iraq, far more than the number of foreigners who fought alongside ISIS in Syria and Iraq, and they intend to leave them there as a Syrian-based fighting force for the foreseeable future (perhaps even relocating their families to Syria as part of an effort to change the ethnic composition of the state). Recent developments also include the reinforcement of the IRGC, a sophisticated military force greatly assisted by thousands of Hezbollah fighters from Lebanon. The latter still constitute an important element of the land forces that fought alongside the regime, and they now comprise part of the strike-force the Iranians are creating in Syria. It remains unclear what the division of responsibilities will be between the Shiite militias and Hezbollah when fighting takes place; nwho will operate where, and how the Iranians will allocate funding for activity in both arenas. But there is no doubt that the inclusion of thousands of Shiite militia fighters loyal exclusively to Iran will influence developments on the battlefield in which they take part. Israel is determined to take decisive action in the face of this new Iranian effort to construct a war machine in Syria. Some of the recent strikes, for which no-one has claimed responsibility in real time, were directed against this effort. Israel has publicly pledged that it will not allow the Syrian-based Iranian threat to expand. Thus, in contrast to the caution Israel has employed (and still employs) in its efforts against Hezbollah’s presence in the Golan Heights and acquisition of weapon systems, it is now prepared to take the risk of escalation to the point of war, in order to block the Iranian effort to construct a war machine in Syria. This relates to all of Syria – a country that is more than 1,500 km away from Teheran but only 250 km from Tel Aviv. Iran is continuing to reinforce Hezbollah and hoping to achieve the same degree of control in both Iraq and Syria that it has secured in Lebanon (– although government and popular opposition is presumably stronger in these two countries than in Lebanon). It would appear that Iran is succeeding in gaining such control in Iraq, albeit more slowly and cautiously than in Lebanon, as to be expected in a country that has more powerful anti-Iranian Shiite forces. In Syria, Iran’s degree of control remains an open question. It is unclear to what extent Assad (and the Russians) will be willing to accommodate Iranian efforts to change the character of Syria – before losing control of the situation. The rationale for Israel’s struggle against the reinforcement of Iran’s proxies – Hezbollah in Lebanon and the Shiite militias and Qods Force in Syria – is twofold. At the immediate level, Israel’s effort is intended to prevent Iran from developing a stranglehold on Israel from two fronts, Syria and Lebanon. At a deeper and largely hidden level, Israel’s effort it is intended to prevent the creation of a “deterrence barrier” that might neutralize Israel’s ability to strike at Iran’s nuclear program when that program resumes. If Iran acquires the capability to attack Israel with a high degree of precision using missiles from Syria and Lebanon, Israel’s strategic situation would significantly worsen. Israel must prevent this at any cost, even if an Israeli attack would lead to war – that is, a large-scale operation involving fierce hostilities in Syria and Lebanon, as well as massive and painful assaults on the Israeli home front. Given that the construction of an Iranian force in Syria is intended to deter Israel from acting to prevent Iran’s progress in the military nuclear sphere, impeding this undertaking justifies an Israeli “preventive attack” if the need arises or a suitable opportunity presents itself. On the diplomatic front, the challenge to Israel is twofold. First it must secure the freedom of action it needs to operate in Syria despite the presence of Russian forces, be they independent or part of the Syrian Army’s advisory network. Simultaneously, and without undermining the first element, Israel must enlist a reluctant US to take an active part in operations alongside it, and not only as a supportive observer from the sidelines. These two diplomatic efforts are needed to complement the military activity. Without such diplomatic backing, Israel will find it difficult to use its armed forces in the region, in a situation where the two superpowers have a military presence. Iran poses one of the most complicated and dangerous challenges Israel has faced over the 70 years of its existence. Israel will have to win this struggle against Iran, one way or another. General Amidror is the Anne and Greg Rosshandler Senior Fellow at the Jerusalem Institute for Strategic Studies (jiss.org.il). He also is a distinguished fellow at JINSA’s Gemunder Center.